Did you or someone you know enroll in health care coverage? 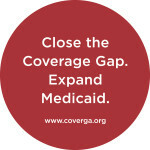 Do you or a family member fall in the coverage gap? Stories help us put a human face on health care issues, which can help us work to make the system better for everyone. Sharing your story can help show other people just like you how important health care coverage is.